Whether you're tracking assets for a school or the pneumatic drill in your tool crib, preprinted barcode labels save you time and money. • Or drill down by one of the applications below. Personalize a template, swap colors and select a material. • Consecutive barcodes. You choose starting #. Choice of materials. 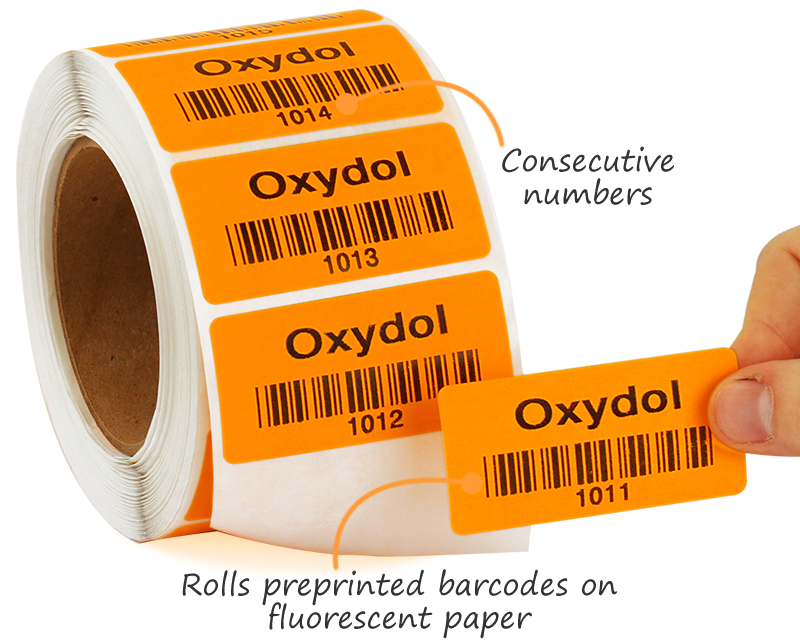 • Fluorescent paper labels. You customize. Handy dispenser. • Design online and download a PDF for free. • Choose your color and starting number. • Stock or customized barcodes for easy tracking. • Find templates just for schools and universities. • Track fire extinguishers and fire equipment. • Encourage others to help report theft. • Barcode asset tags for hospitals. Tracking labels for labs. 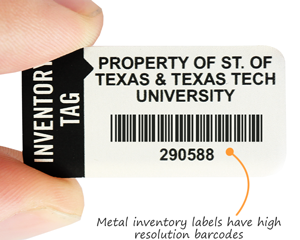 • Stop removal of barcode labels. 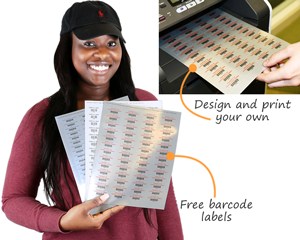 • Make viewing and installing barcodes easy. • 100’s more templates and durable materials. • Sticks well - but removes cleanly. No damage.